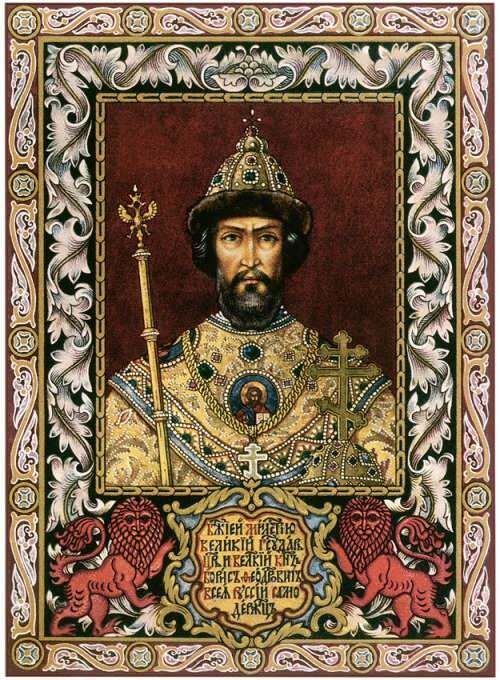 « Sergei Vronsky – great hoaxer or professional astrologer? 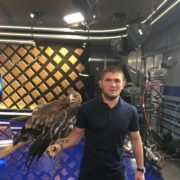 Khabib Nurmagomedov is a professional Russian athlete, mixed martial arts (MMA) fighter, Ultimate Fighting Championship fighter. You know, he is the champion of Russia, two-time world champion, champion of Europe. Actually, Khabib became the first Russian to win the title of champion at the Ultimate Fighting Championship. 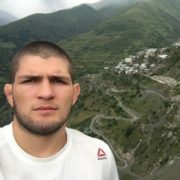 Khabib Abdulmanapovich Nurmagomedov was born on September 20, 1988, in Dagestan Autonomous Soviet Socialist Republic, USSR (now Dagestan, Russia). 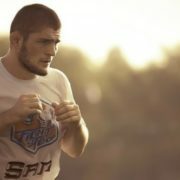 Since childhood, the boy was trained by his father, Abdulmanap Nurmagomedov. 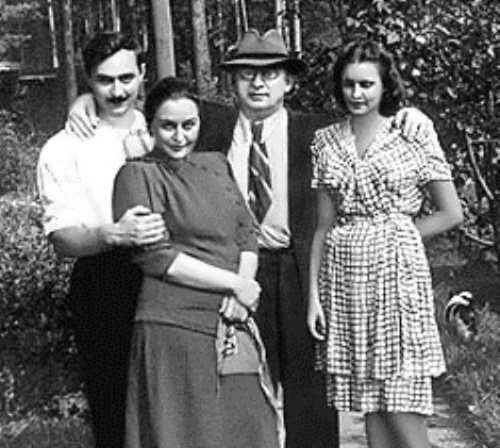 The boy began to train at the age of five. His younger brother Abubakar later also became a professional athlete. 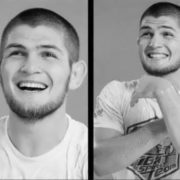 When Khabib was 12 years old, the family moved to Makhachkala. There the father organized a small sports camp for talented teenagers. Saidahmed Magomedov was the coach of Khabib during that period. In childhood, the idol of the fighter was Russian athlete Feodor Emelianenko. At the age of 20, the young athlete first performed in the big ring. 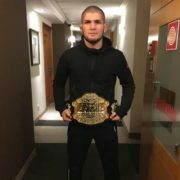 For three years Khabib received more than 15 awards, became a champion of Russia, Europe and the world. He worked with such sports companies as ProFC, TFC and M-1. The young man became world famous when UFC invited him. So the Russian champion can be seen not only in domestic or European tournaments, but also at competitions, arranged between the best fighters of the world in Los Angeles. 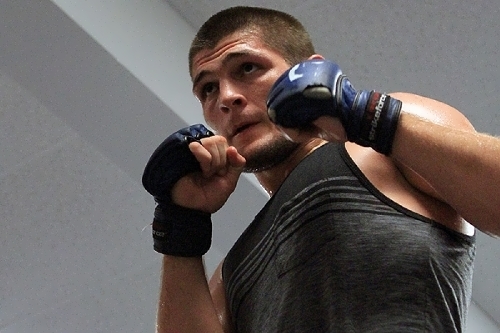 On January 21, 2012 Khabib had his first UFC fight, which ended with his victory. 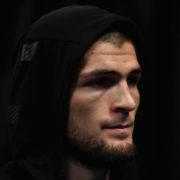 For that fight Khabib received $ 8000 (+ $ 8000 bonus for the victory). To tell the truth he became the youngest fighter. His second fight was against one of the best Brazilian fighters Gleison Tibau, included in the top 15 best fighters, on July 7, 2012 in Las Vegas, Nevada. 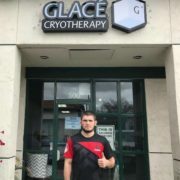 Khabib won the fight and received $ 20,000 (+ $ 10,000 bonus for winning). On January 19, 2013 the fighter fought another famous Brazilian Thiago Tavares in Sao Paulo, Brazil, and won on the 1:55 of the first round. On May 26 at UFC 160 in Las Vegas Khabib defeated promising fighter from the USA – Abel Trujillo. At UFC 165 in Toronto, Canada, Nurmagomedov defeated Pat Healy (the 10th fighter in the world rankings in the UFC). On April 19, 2014, Khabib fought with Rafael dos Anjos (the 5th in the ranking of UFC) and won. On July 5, 2014 the athlete suffered a knee injury and in 2015 his rib was broken. On April 16, 2016, after two-year break, Nurmagomedov defeated Darrell Horcher by TKO in the second round. On November 12, 2016 at UFC 205 in New York City, Nurmagomedov defeated American fighter Michael Johnson. Khabib is married. His daughter was born in June 2015.